Each year, in the thick of winter, over 4,000 visitors prepare to make their way to Midland from all around the world. From Costa Rica to Florida and even parts of Asia and Africa, they arrive in a very unassuming way – via FedEx – before making their full transformation and bringing wonder and delight to all who visit the Dow Gardens Conservatory. Here is what it takes to deliver the magic of Butterflies in Bloom each year. The butterfly shipment schedule is designed to keep numbers of adults consistently high throughout the event. The Dow Gardens conservatory was built in 1976 as a space for plant production in the pre-season. 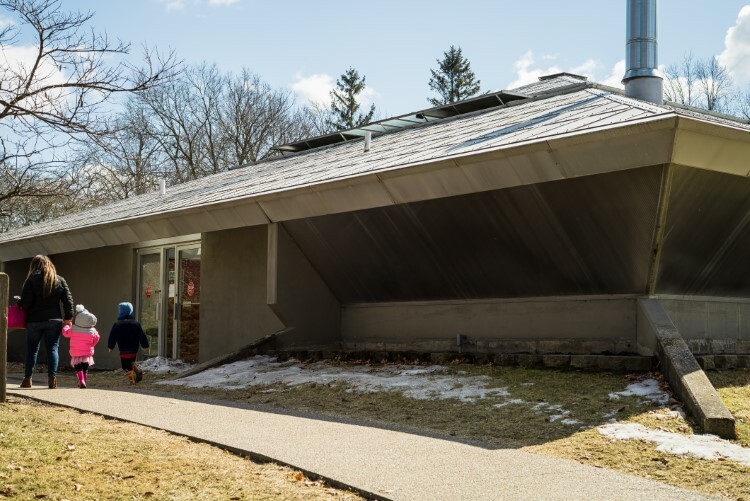 Tucked away at the back of Dow Gardens, the conservatory was designed by Alden B. Dow. Given the historical significance, very minimal modifications have been made over the years and the structure now houses year-round plants, the ever-popular butterfly exhibit and seasonal decorative arrangements, like the 320 poinsettias that resembled a tree over the holidays. Built in 1976 and designed by Alden B. Dow, the Dow Gardens Conservatory is tucked away at the back of Dow Gardens. Butterflies in Bloom runs March 1 through April 21, evolving as new butterflies are staggered throughout the season. 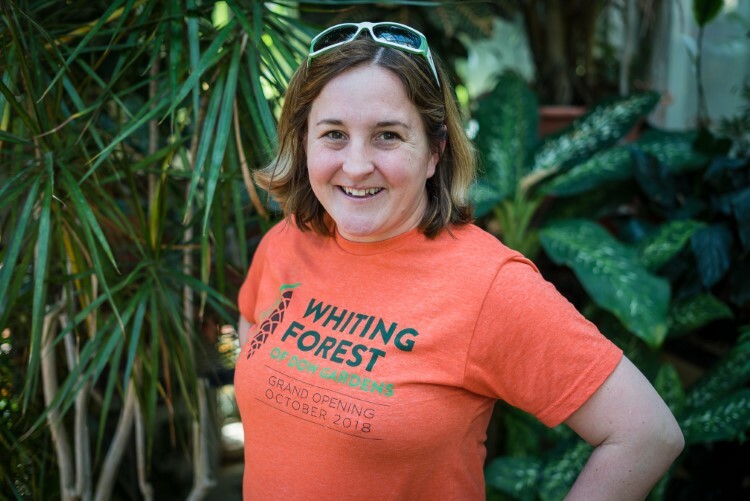 The program is managed by Elly Maxwell, the entomologist at Dow Gardens. Entomology is the study of insects and the process of getting the butterflies ready for public viewing is fascinating. Maxwell oversees the Butterflies in Bloom program, beekeeping and other programming related to insects at the Gardens. Butterflies in Bloom started at Dow Gardens in 1998. Butterflies in Bloom started at Dow Gardens in 1998, in an effort to reinforce the fact that the conservatory was available for viewing and enjoyment all year round and not just the warmer months. At first, the program only included butterflies from the United States, mostly all shipped from Florida. 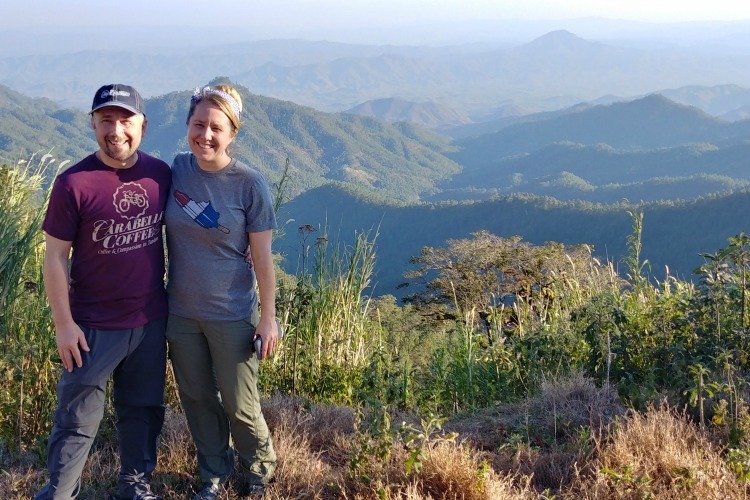 Starting in 2009, the program evolved to include species from other regions, adding over 100 species from Costa Rica, the first country butterflies were sourced from. The diversity continued thereafter, with species from both Asia and Africa in 2012. In 2019, Maxwell added butterfly species from Ecuador. 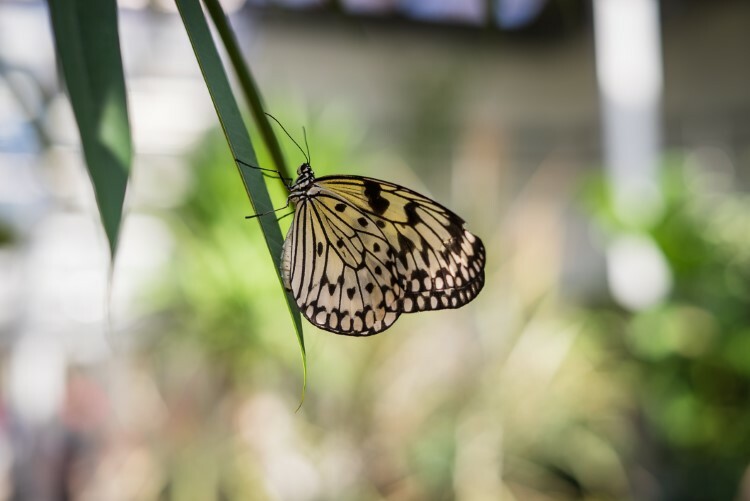 Approximately 40,000 visitors flock to Dow Gardens each year to see the "Butterflies in Bloom" exhibit. The process of sourcing and importing butterflies from other countries is actually fairly complicated. There are strict requirements for insects shipped from other countries and the USDA is heavily involved. 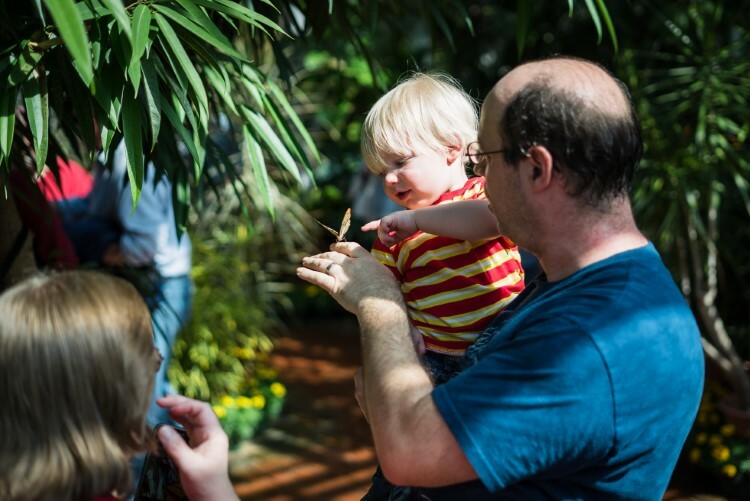 The process starts with a farmer collecting chrysalis from hostplants and shipping them to Maxwell at Dow Gardens. The internationally-sourced butterflies come through an insect broker, who manages their importation. 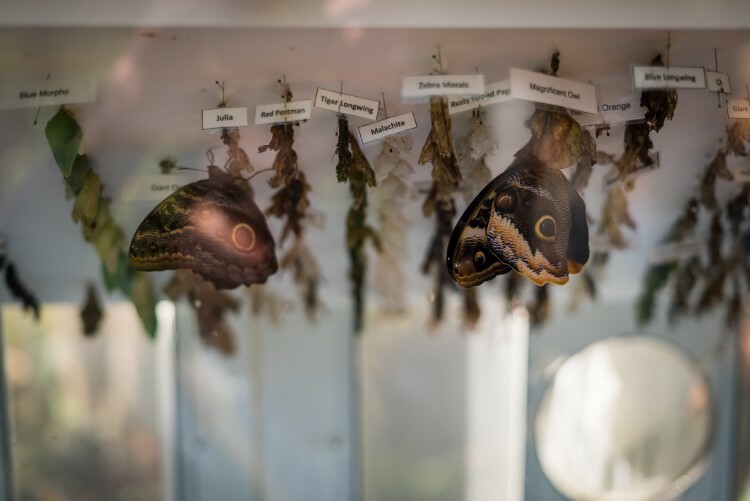 All butterflies that come to Dow Gardens, regardless of their origin, have to be inspected before they can be displayed in the conservatory and allowed to emerge from their chrysalis. Only Maxwell and one other person at Dow Gardens are qualified to unpack each shipment due to the technical nature and importance of keeping any possible contaminants under control. 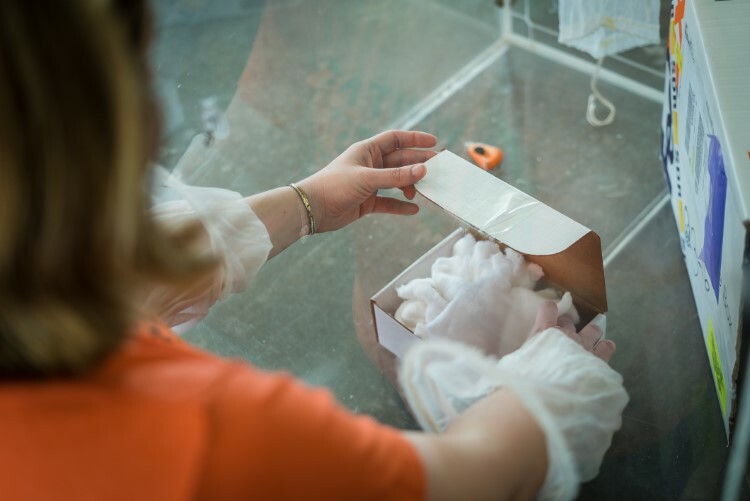 Elly Maxwell, the Dow Gardens entomologist unpacks a butterfly shipment inside an inclosed case for inspection. The quarantine and inspection period helps identify any “hitchhikers” that may have come along for the ride to Midland. 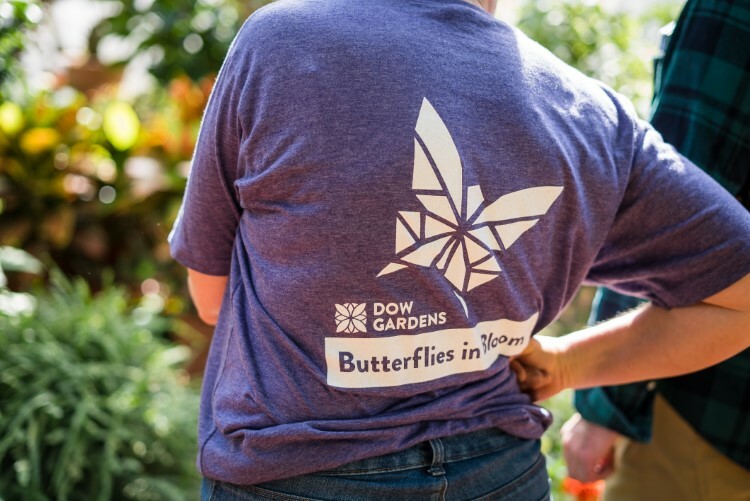 Any insect or item that happens to make its way to Dow Gardens in each butterfly shipment can be contained and properly disposed of. Different species are labeled in the chrysalis case. Other factors that Maxwell has to watch out for are parasitic wasps and flies that can insert themselves into larvae, living off of the butterfly as a host until the wasp or fly has developed. In those cases, a wasp or fly emerges from the chrysalis instead of a butterfly. Parasitoids are concerning because they can develop undetected very easily and harm the environment once they have developed. Parasitoids are found every year, so it is one of the things Maxwell looks out for when carefully unpacking each shipment. Her highly trained eye for chrysalis development helps her identify the ones that likely contain a parasite. Elly Maxwell, the entomologist at Dow Gardens. Once they have passed inspection, the chrysalides are pinned by their silk and hung safely in the chrysalis case until a butterfly emerges. Depending on the species of butterfly, this can take anywhere from a few days, to a month or longer for them to emerge. As a rule of thumb, larger species take longer to develop and some must come out of diapause, a developmental dormancy stage. Breaking diapause comes from a number of different factors including the temperature and humidity of their environment and the length of daylight they are exposed to. Visitors waiting for the perfect shot inside the conservatory. The butterflies don’t all come at once either. Due to variations in their natural life, shipments of new butterflies are staggered throughout the length of the program, with the last one coming about a week before the final days of Butterflies in Bloom. The shipment schedule is designed to keep numbers of adults consistently high throughout the event. The chrysalides are pinned by their silk and hung safely in the chrysalis case until a butterfly emerges. The effort is a big lift for Maxwell, who has help from more than 75 volunteers that help with the program. 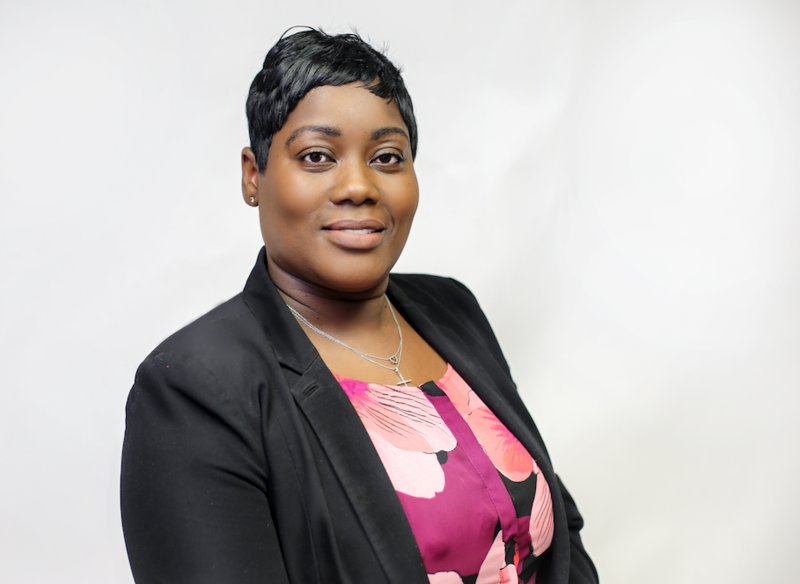 She emphasized that the volunteer base is one of the reasons behind the programs success. 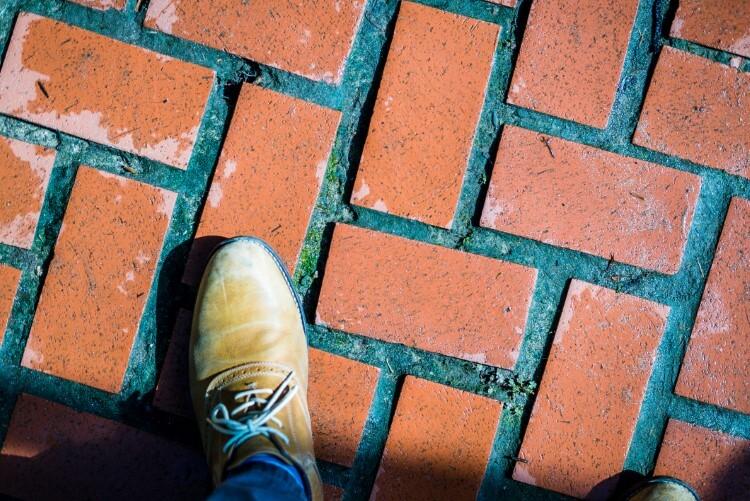 The conservatory floor is often sprayed down to maintain humidity levels. Volunteers help with education, classes, visitor management, checking patrons’ clothing to make sure no butterflies have escaped on their way out and maintenance activities. The humidity has to be maintained at a certain level, so volunteers regularly spray down the floor of the conservatory to keep the level high. Butterflies in Bloom runs March 1 through April 21. 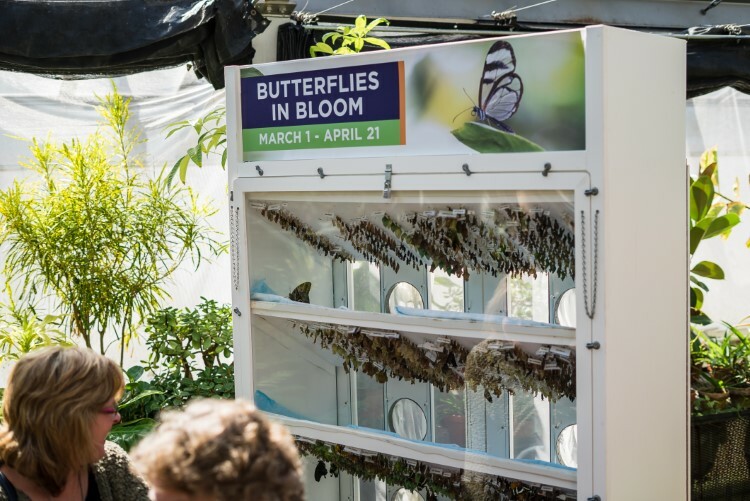 Butterflies in Bloom was recently changed to a time-ticketed event to help with peak times. The volunteers are helpful making the process smooth for the estimated 40,000 visitors that come see Butterflies in Bloom each year. 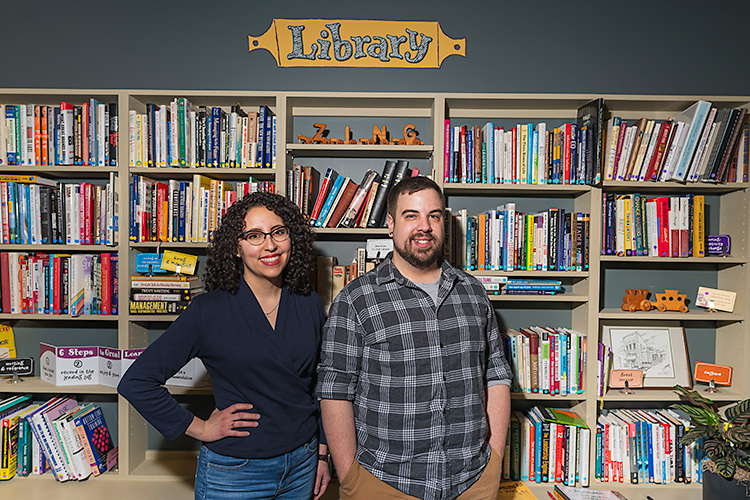 To help in that aspect, especially with managing wait times, the program has recently changed over to a time-ticketed event to spread the viewing periods out, especially during high traffic times on weekends. Maxwell's favorite thing is the change in seasons that the butterfly exhibit signals as well as sharing the wonder of insects with others. 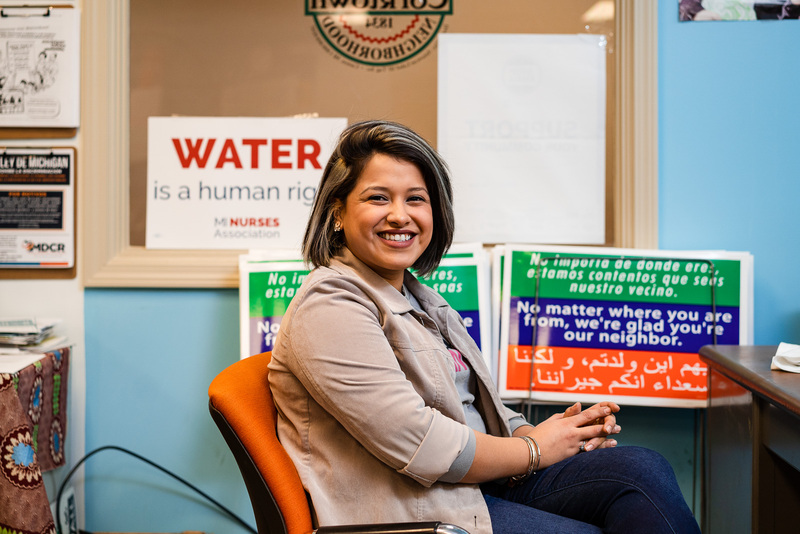 "At the end of winter, Michiganders are craving warmth and sunshine and I get to see visitors walk in each day, their faces illuminated with joy," she says. "We get to provide the experience of warmth, tropical plants and butterflies. 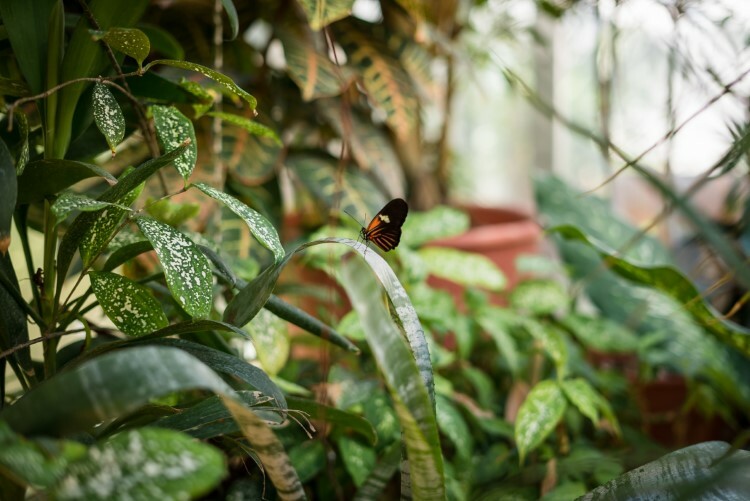 The whole atmosphere of the butterfly house is positive and feels like summer. I believe all who enter leave with a little more cheer than with which they entered." 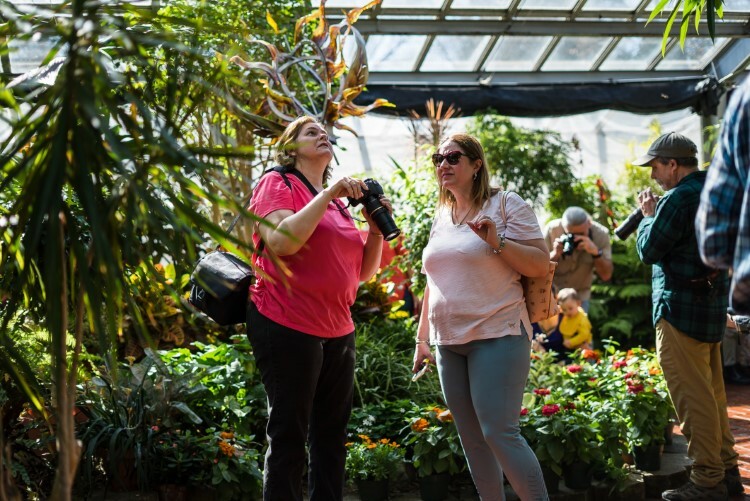 Booking for next year’s Butterflies in Bloom opens fall 2019!